Seattle has a solid boxing history when it comes to fighters and clubs and currently there are actually three standout brands in this city – Seattle Boxing Gym (SBG), TITLE Boxing Club and Emerald City. Let’s take a look at them in turn and make an assessment on what each can offer boxers of all levels and abilities. SBG immediately stands out for its depth and quality of coaching. Manager and trainer is Isaac Tadeo, a current pro boxer who amassed an 8-0 record (four knockouts) from 2012-2016 and now uses that experience to train his many clients. Isaac once sparred Saul ‘Canelo’ Alvarez and won a string of amateur titles. Tadeo is joined by another current pro, light-heavyweight Richard VanSiclen, who is 5-0 with three knockouts. Ricardo Acuna, who formed the University of Washington Club, Jacque Ines and Shae Green are just some of the other coaches available for personal training or group sessions. Established in 1990, SBG has plenty of room and floor space for members to spread out and whip themselves into fighting shape. They offer group or private sessions as well as sparring, across a multiplicity of high-end boxing equipment, cardio, circuit training and weights/strength facilities. Youth programs and non-contact training is available and anyone is welcome to come along and have a look around. The only notable drawback is the lack of shower facilities at present. Seattle boasts a plethora of good quality boxing gyms. You may have heard of the Title Boxing brand before and that’s because they are also a successful equipment company that provides championship-level gloves, headgear, pads, punching bags and much more. The Title gym franchise spreads far and wide across the United States and right down in to Mexico and Puerto Rico. The Title Seattle Greenwood gym has a relaxed feel, with the trainers listed under their first names only. The relaxation swiftly ends, however, when the training kicks in and users speak of high intensity workouts for participants of all ages. The instructors bring different routines and ideas to their respective workout sessions, which keeps everyone on their toes. Month-to-month club cards are available, along with cheaper annual rates for committed fitness enthusiasts. Boxing trainers lead users through a regimen of boxing combinations on the pads and punching bags, to sharpen the skills and burn off those excess calories. Emerald City is another well worth checking out. They run seven days a week, offer personal training, group fitness classes and open gym sessions where all are welcome. Child and youth classes are available, as well as sparring instruction on Sunday afternoons to help sharpen up on those taught skills and sparring sessions are only provided to those who feel comfortable enough to participate. There are student and neighborhood discounts available on membership deals. The team of coaches are all successful amateur boxers and USA Boxing certified trainers, bringing experience and motivation to each and every session. The wealth of facilities and clean, well-maintained workout space make the Emerald a winner. Located on East Jefferson Street, Arcaro Boxing users comment on the excellent standard of coaching available. Like a growing number of gyms, Arcaro run a KO Parkinson’s program with competitive rates, support partnerships and transportation offered. The club also handles amateur and professional boxers; taking willing pugilists from learning the basics to competing at regional levels if they have the desire and dedication required. Arcaro provides an open gym, group fitness classes, group sparring lessons and non-contact youth boxing. Another great boxing facility in a city full of excellent combat amenities. 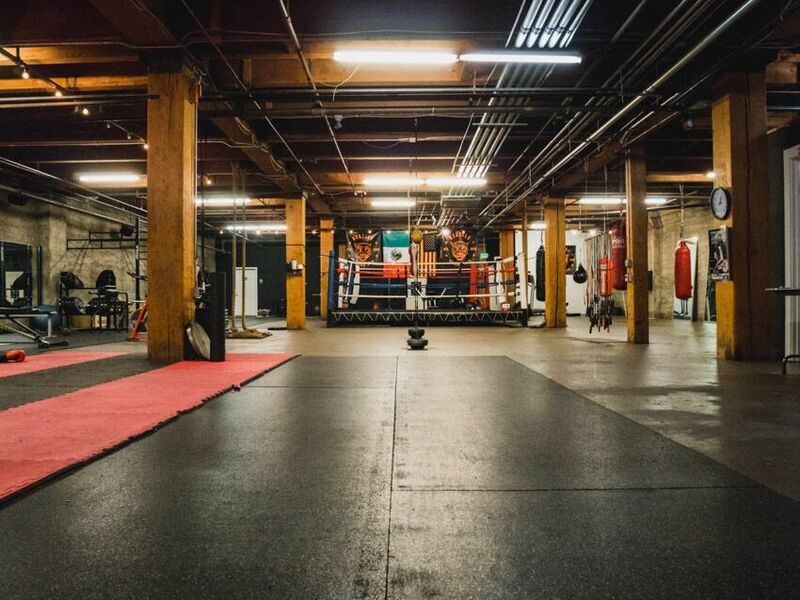 ← 3rd Street Boxing Gym – Is it the best in San Francisco?